Balance is the ability to maintain your upright position. To maintain you balance the body uses three systems: Vestibular, Somatosensory and Visual. These systems allow your body to determine your location in space. Are you moving, standing still? Are you standing on a slope or on a flat surface? Are you moving forward or backward, going up or down hill? 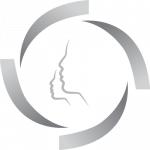 All these questions can be answered by the three systems that help you keep your balance. The Visual system allows your body to anticipate where you will be walking and to adjust body position to avoid objects. Such as when you see a curb and step up to avoid tripping. The Somatosensory system, or your sense of touch, allows your body to determine if the surface you are walking on is uneven. Are you walking on sand, gravel, grass or a solid surface? Knowing what type of surface allows your body to anticipate the amount of effort and which muscles it will need to use to remain upright while walking. Your Vestibular system, more commonly know as your balance system, detects your head movements in space. It allows your body to determine if you are turning to the right or left (angular velocity) or if you are accelerating/decelerating such as riding an elevator up or down. The uniqueness of the vestibular system is that it is a paired system. 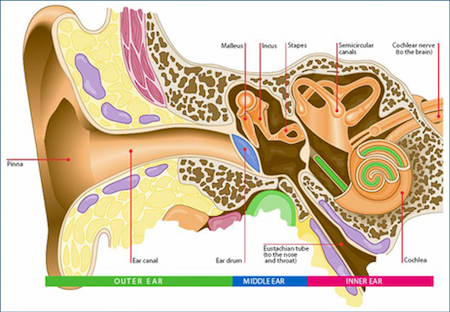 There is one portion of the vestibular system on either side of your head connected to the organ of hearing (cochlea). When one portion of the vestibular system is not functioning properly we feel off balance or we have vertigo. Vertigo is the symptom most commonly described as “spinning” dizziness. 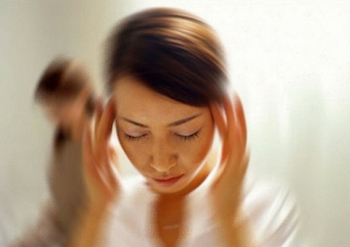 While Vertigo is a symptom of possible vestibular disorder. There are other health conditions that can cause vertigo. We recommend setting up an appointment with our Ear Nose and Throat (ENT) physicians to better review your dizziness.